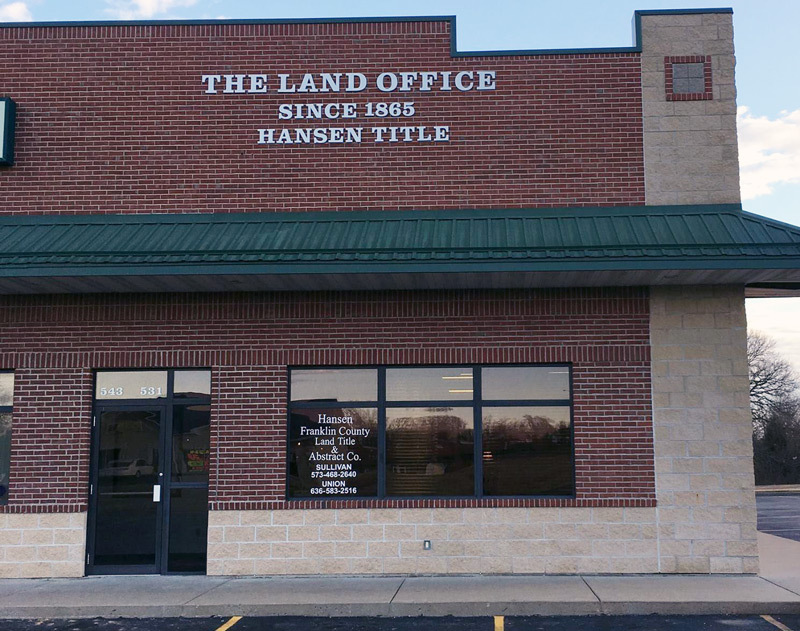 Franklin County Land Title & Abstract Co. was started in 1865 by John H. Pugh, who operated the business until 1884. In 1884 the firm of Gallenkamp and Wood took over ownership of the business until they sold it to Neil White in 1918. 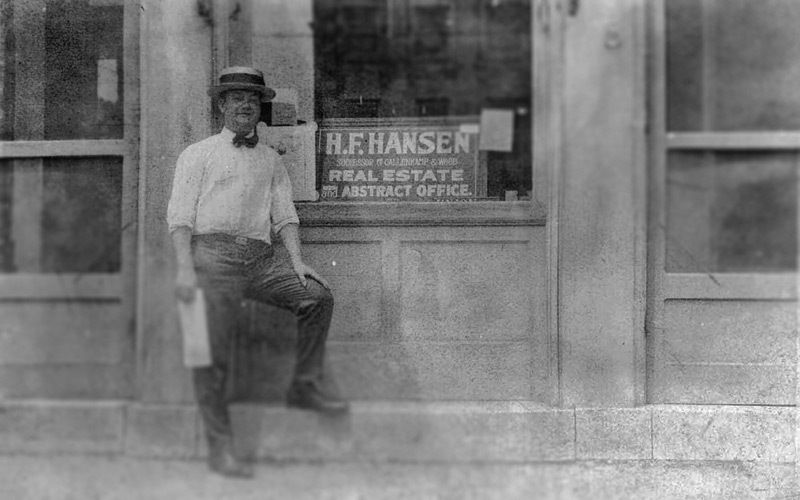 Herman F. Hansen purchased the business in 1918, but was quickly forced to sell due to his military service overseas in World War I. Upon his return home in 1919, Herman repurchased the business and ran it until his death in 1962. After Herman’s death, his son Charles E. Hansen took over ownership of the company. The following year, Robert E. (Bob) Hansen joined his brother in running the family business. Also in 1963, Charles partnered with Edward Stierberger to form the law firm of Hansen, Stierberger, which operated out of the same building as Hansen Title. The Hansen, Stierberger law firm, now known as Hansen, Stierberger, Downard, Schroeder, and Head LLC, has continued in business since 1963 and has provided title examination and legal services to Hansen Title since its creation. During his tenure, Charles was the backbone of the title office. Upon Charles’ death in 1995, Bob became the sole owner of Hansen Title. Bob owned the business until 2015 when he sold it to local attorneys and current owners Jon Downard, Matt Schroeder, and Justin Head.